Sparked by the Great Recession, powerful grassroots groups emerged on the left and the right, each with radically different ideas about the best path forward and little or no common ground. The effects of what would later be termed the Great Recession reverberated for years, even as the U.S. began to climb out of it in the second half of 2009. An unexpected side effect grew out of the economic morass, and that was the birth or revitalization of social movements on both ends of the political spectrum. These activist groups would soon come to exert an oversized influence on elections, social policy, and the country at large. monstrous greed of Wall Street in general — the Great Recession was devastating. People lost homes, jobs, everything they’d spent a lifetime working toward. Unemployment rose rapidly: from November 2008 to October 2009, unemployment shot from 6.8 percent to 10 percent. Scholars have noted the subsequent rise in economic activism in the United States. Both the Tea Party movement and the Occupy movement have roots in the soil of the economic crisis. The Tea Party movement found its rallying point in the actions taken by the recently inaugurated President Barack Obama to address the Recession in 2009. Obama’s Homeowner Affordability and Stability Plan, an effort to directly help the homeowners most impacted by the subprime crisis, triggered “big government” resentment that fueled the movement. At the other end of the political spectrum, Occupy sought to address social and economic inequality with protests directed at a financial system that they felt had victimized vulnerable Americans. For its part, the Tea Party movement wasn’t all new. Citizens for a Sound Economy (CSE) was founded in 1984 by Koch Industries heads, brothers David H. and Charles G. Koch; CSE was a conservative political group focusing on lower taxes, fewer regulations, and smaller government. In 2002, CSE launched a (now defunct) website at usteaparty.com that professed opposition to high taxes and what they viewed as an overly complicated tax code. By 2004, CSE had broken into two groups: FreedomWorks and the Americans for Prosperity Foundation. 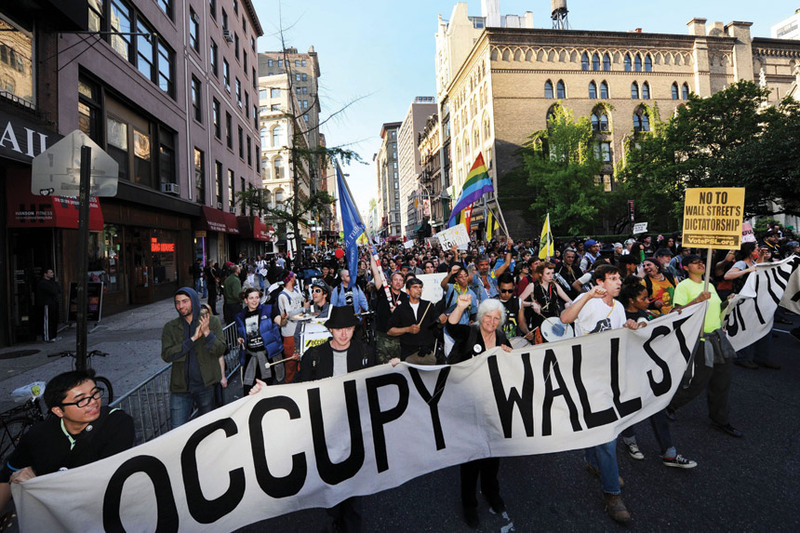 Occupy, itself partially inspired by the Arab Spring and anti-austerity protests around the world, kicked off new protests throughout the U.S. and other countries. The movement was galvanized by scenes of police brutality, including nonviolent protestors being pepper-sprayed on September 24, 2011. More protests occurred in major American cities, with thousands taking part. While the initial thrust had worn off by December, activists spread out and integrated into other groups, addressing income inequality, healthcare, and other concerns. It may be melodramatic to say that the crisis that broke the economy broke the country, but the case can certainly be made that the long recovery still has a long way to go.